See below for EarthByte content related to Maria. Zahirovic, S., Müller, R. D., Seton, M., & Flament, N. (2015). 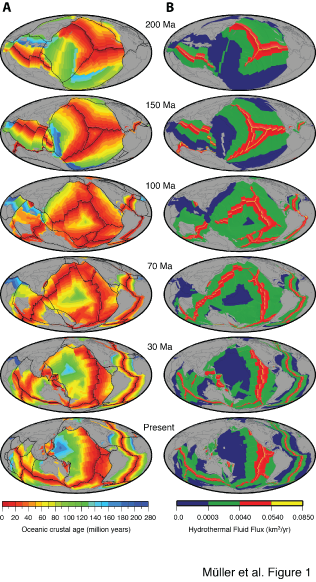 Tectonic speed limits from plate kinematic reconstructions . Earth and Planetary Science Letters, 418, 40-52. doi:10.1016/j.epsl.2015.02.037. We present four companion digital models of the age, age uncertainty, spreading rates and spreading asymmetries of the world’s ocean basins as geographic and Mercator grids with 2 minute resolution. 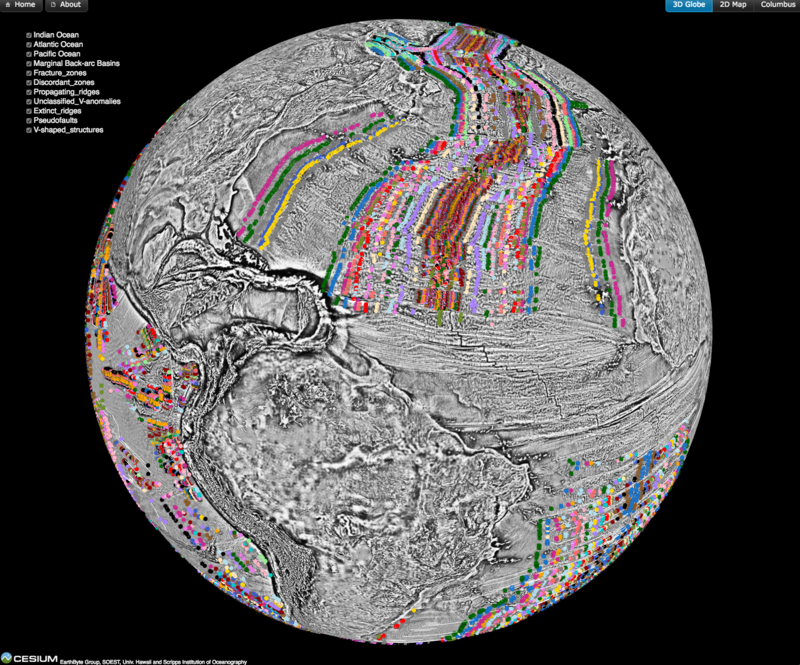 The grids include data from all the major ocean basins as well as detailed reconstructions of back-arc basins. Carmen Braz is undertaking a 6 week summer scholarship with Maria Seton and Dietmar Müller. She will be implementing a new plate tectonic model for the Caribbean. Zahirovic, S., Seton, M., and Müller, R. D., (2014). The Cretaceous and Cenozoic tectonic evolution of Southeast Asia : Solid Earth (EGU). Tectonic reconstructions of Southeast Asia have given rise to numerous controversies that include the accretionary history of Sundaland and the enigmatic tectonic origin of the Proto South China Sea. We assimilate a diversity of geological and geophysical observations into a new regional plate model, coupled to a global model, to address these debates. 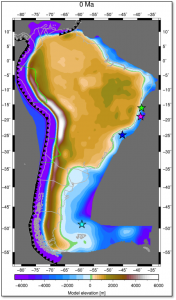 Magnetic anomaly identifications form the primary data set from which the age of the oceanic lithosphere can be determined, a critical component of reconstructing the seafloor spreading history of ocean basins. 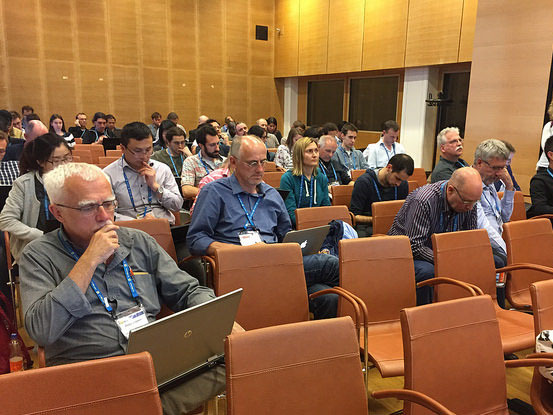 This data is now available as part of an open source, community-driven online repository that contains quality-checked magnetic anomaly picks, organised by ocean basin and publication source. Herold, N., Buzan, J., Seton, M., Goldner, A., Green, J. A. M., Müller, R. D., Markwick, P., & Huber, M. (2014). A suite of early Eocene (~ 55 Ma) climate model boundary conditions . Geoscientific Model Development, 7(5), 2077-2090. doi: 10.5194/gmd-7-2077-2014. Congratulations to Maria Seton, who was awarded the 2014 Dorothy Hill Award from the Australian Academy of Sciences, for her contributions to global plate tectonics, long-term sea-level change and global geodynamics and back-arc basin formation. Well done Maria! Müller, R. D., Dutkiewicz, A., Seton, M. and Gaina, C. (2013). 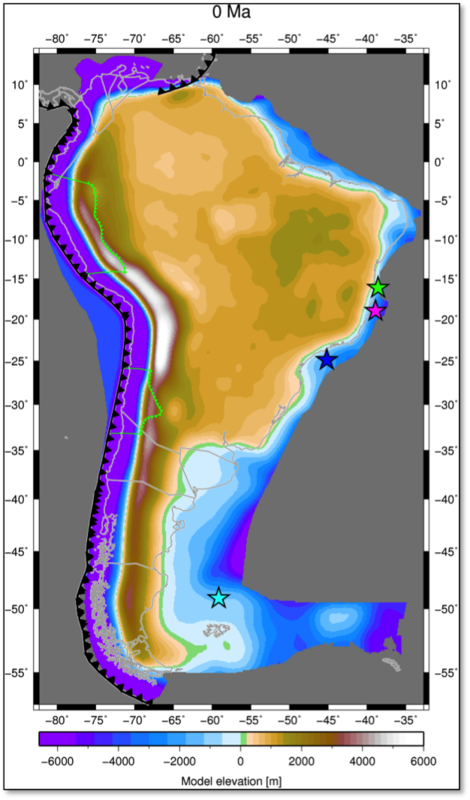 Seawater chemistry driven by supercontinent assembly, break-up and dispersal Geology. doi 10.1130/G34405.1. Maria Seton was awarded an ARC Future Fellowship on – Oceanic gateways: a primary control on global climate change?